Is Raquel Welch’s bra in here? The Genoa Bar located in Genoa was established in 1853. 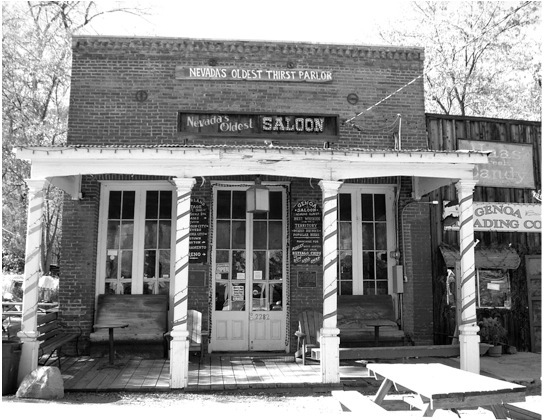 The Bar is Nevada’s oldest operating bar and still one of Nevada’s favorite watering holes. Over the years the bar has been visited by many famous people. One of those famous people was Raquel Welch. In the 1960’s Raquel Welch visited the bar to have a few libations, as many patrons have done over the years. Raquel noticed the 100’s of bras hanging from the ceiling of the bar and was curious and asked the bartender about them. The bartender explained to Raquel that the bras were left by the bar’s many patrons and over the years and had become a Genoa Bar tradition. After Raquel had tasted a few drinks, the bartender decided to ask Raquel if she would do them the honor of leaving her bra. After pondering for a short while, Raquel agreed but on one condition. The condition was that if she left her bra, from that day forward, all the other bras had to be taken down and only hers would be displayed in the bar forever. The bartender agreed. 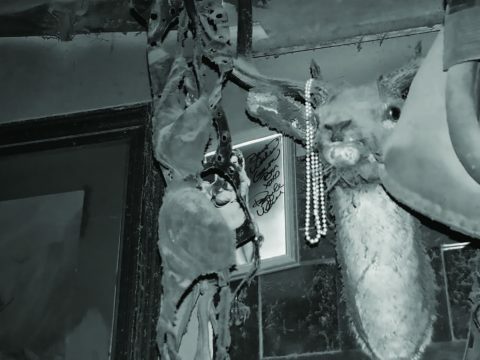 So, next time you visit the Genoa Bar you will see Raquel’s bra displayed in all its’ glory, hanging from the deer antlers on the wall. Alongside of the bra is an autographed photo of Raquel. In the mid 80’s the Coors Beer Company came to the Genoa Bar to film a beer commercial. Many local people were asked to be extra’s in the commercial. Their job in the commercial was to be drinking Coors beer and just have fun. The problem was that all of the Nevada extras hated Coors Beer, and refused to drink it. Copyrighted 2009, all rights reserved.